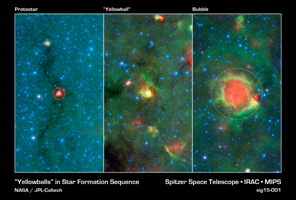 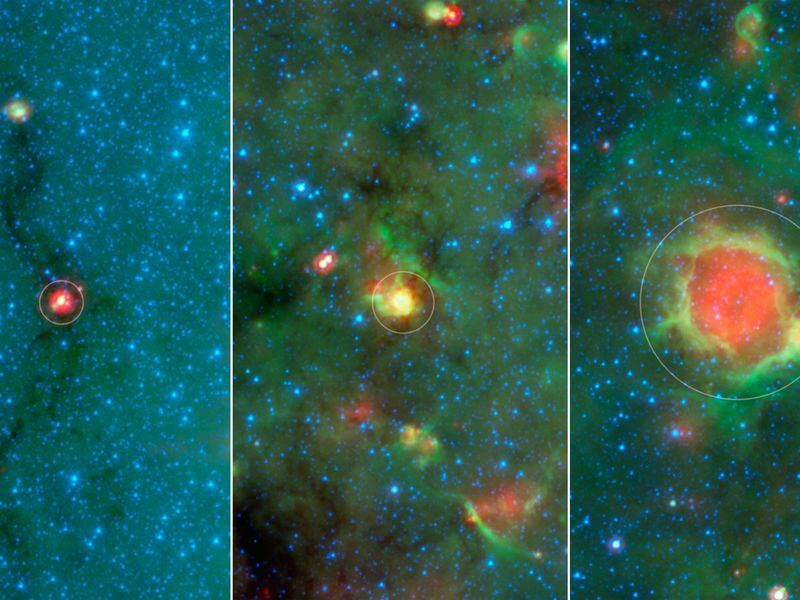 This series of images show three evolutionary phases of massive star formation, as pictured in infrared images from NASA's Spitzer Space Telescope. 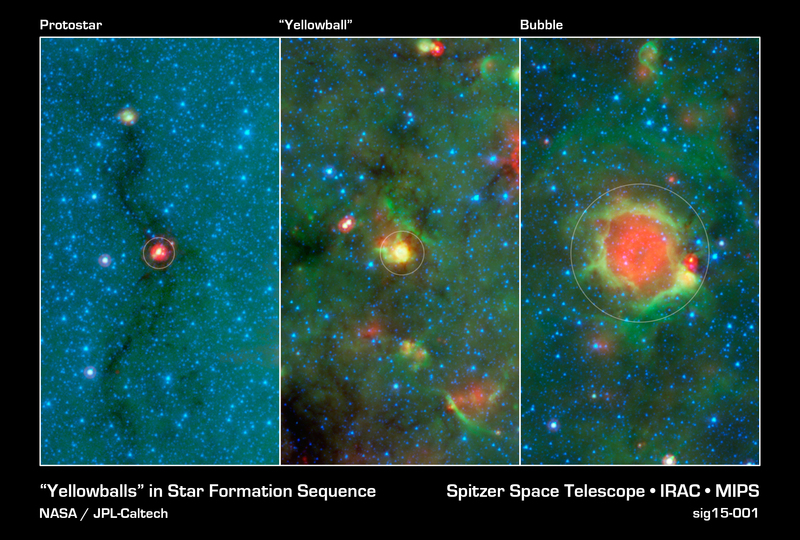 The stars start out in thick cocoon of dust (left), evolve into hotter features dubbed "yellowballs" (center); and finally, blow out cavities in the surrounding dust and gas, resulting in green-rimmed bubbles with red centers (right). 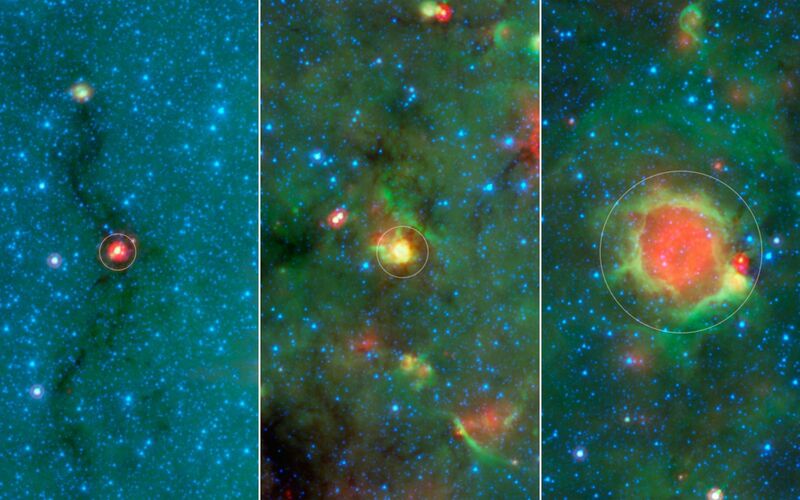 The process shown here takes roughly a million years. 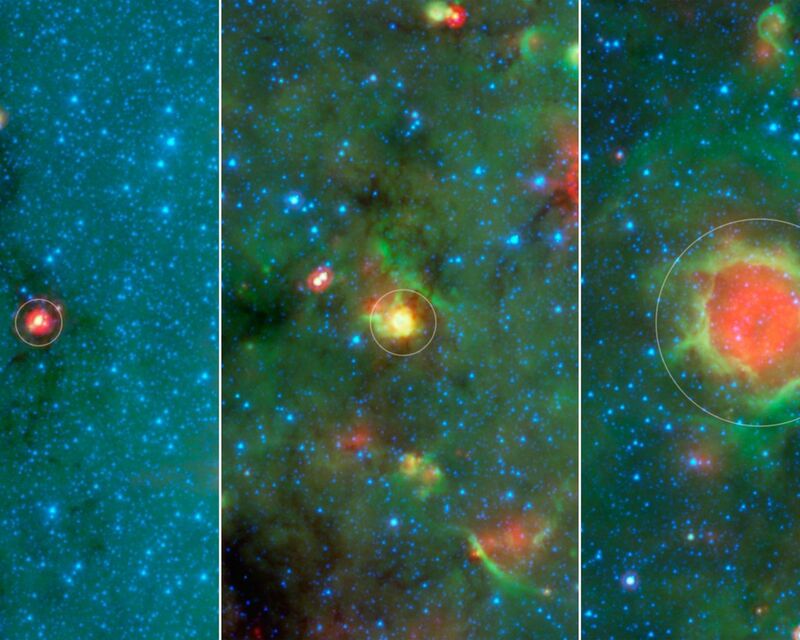 Even the oldest phase shown here is fairly young, as massive stars live a few million years. 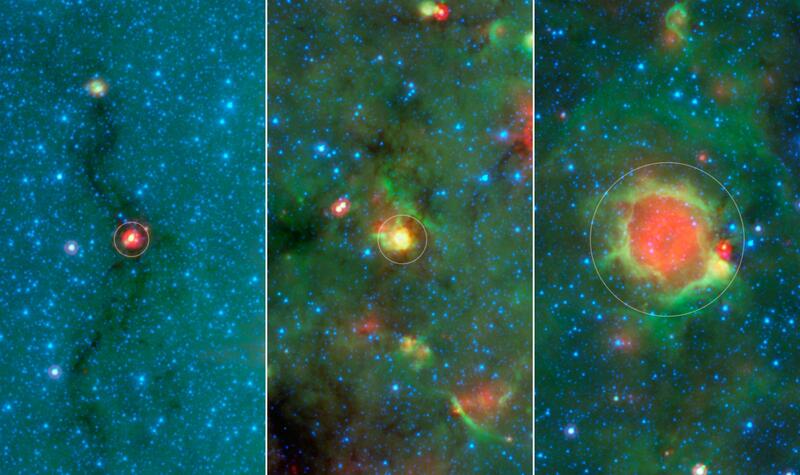 Eventually, the stars will migrate away from their birth clouds.